The Firs is a large bungalow which can accommodate up to 6 adults plus a baby. 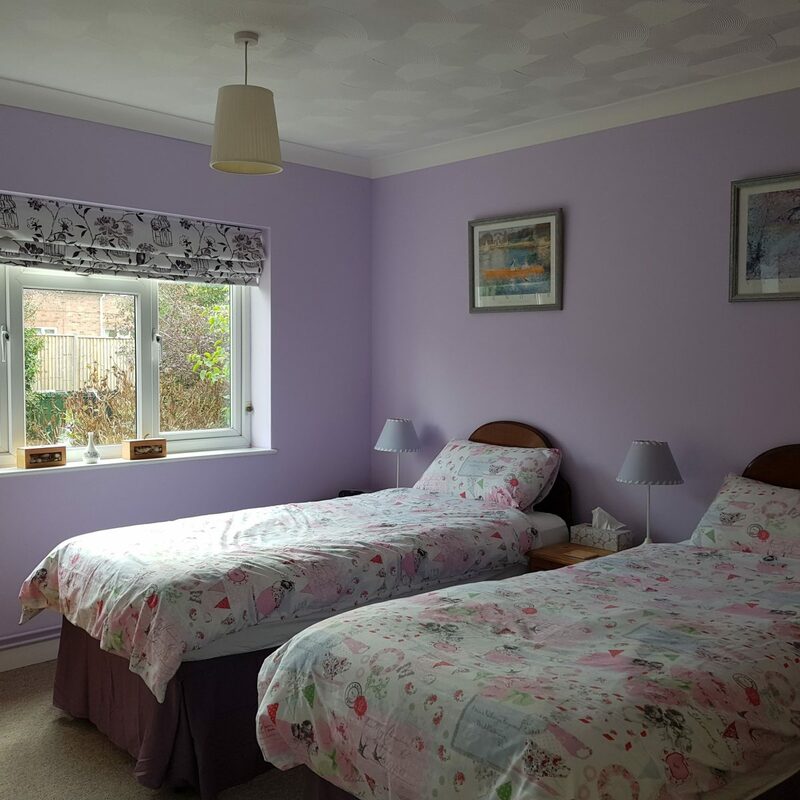 Light, spacious room with french doors to garden and 2 large, comfy sofas. Video & dvd player with a selection of videos and dvds to suit all ages. Selection of board games, toys, books, jigsaw puzzles etc. which should provide entertainment for the evenings or the occasional (hopefully very occasional) wet day. This is a bright, sunny room throughout the year. Dining table which comfortably seats six (highchair provided). Comfortable chairs for relaxing and enjoying the countryside views. CD player with selection of CDs. Plenty of reading material including information on the area. 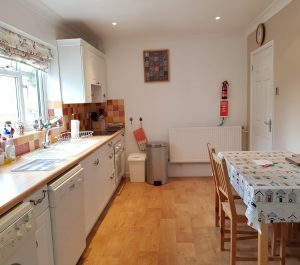 Very well equipped family kitchen for all your self catering needs. Electric hob and oven, microwave, fridge and toaster. Iron and ironing board available. Tea towels and hand towels are provided for your use. Double bed, antique pine furniture, DAB radio, hairdryer, flatscreen TV and the luxury of an en suite with a modern shower. 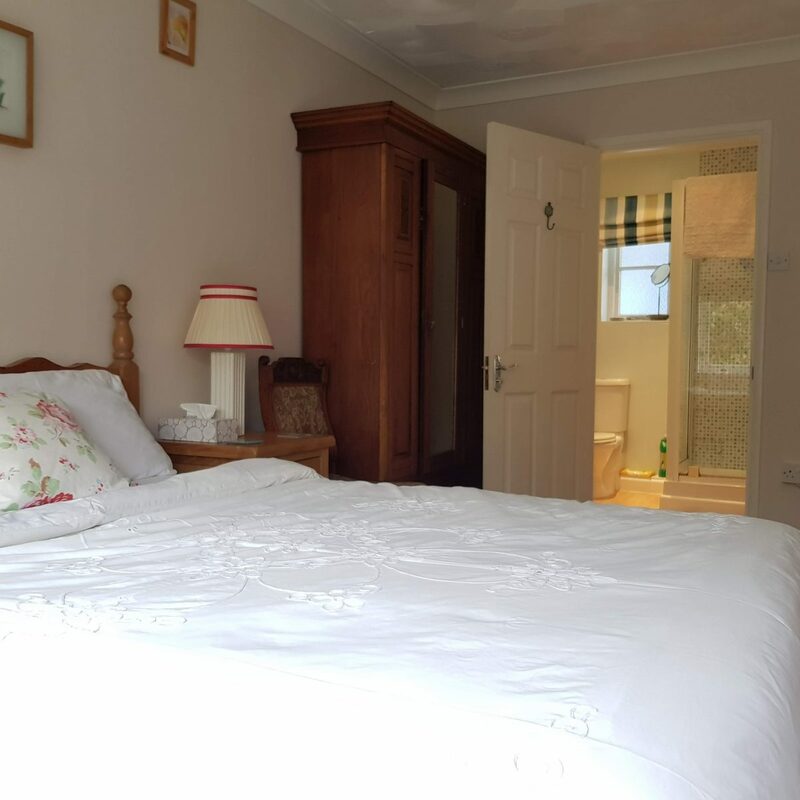 This bedroom is away from the other bedrooms and so is ideal for peace and quiet from the rest of the family or privacy if two couples are staying. Twin beds, flatscreen TV, radio. Both twin bedrooms share the family bathroom. All bedrooms have plenty of hanging and drawer space. Twin beds, radio (many guests have commented on how comfy our beds are). A large shingled area to the rear of the property with countryside views and plenty of parking spaces. The garage can be used to store bikes and has chairs/games for the beach. Outside dining area and garden chairs and sunbeds are available. A BBQ is also provided. Mainly grassed and is child and dog friendly. Beautiful spot to sit and listen to the numerous very tame birds that visit – you don’t need to go very far for bird watching! !